Coffee in Gladstone, another mining monstrosity. 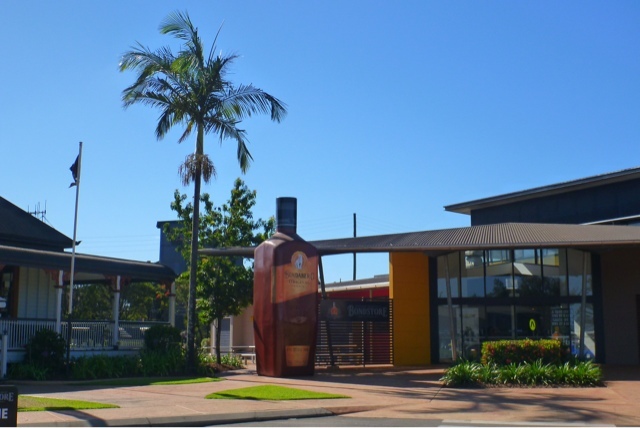 Then off to Bundaberg when I took a tour of the Bundaberg rum distillery. Amazing how small the operation is for such a large brand and distribution. My only regret is not being able to indulge in all the tastings afterwards as I still had 300k to go to Noosa where I will stay with my cousin, Trish, and family. Arrived around 6:30 to find dinner in the fridge, a beer, and comfy bed where I fell asleep well before Trish and Nick got home.